Despite my attempts to defend my “blurple” wall, I knew it needed to go. It really didn’t flow with the light colored walls throughout the rest of our home, and I had a difficult time figuring out how to decorate it. So this past week I painted it using leftover paint from another room. The new wall color is Cream in My Coffee by Valspar. I love the difference the neutral wall color has made. 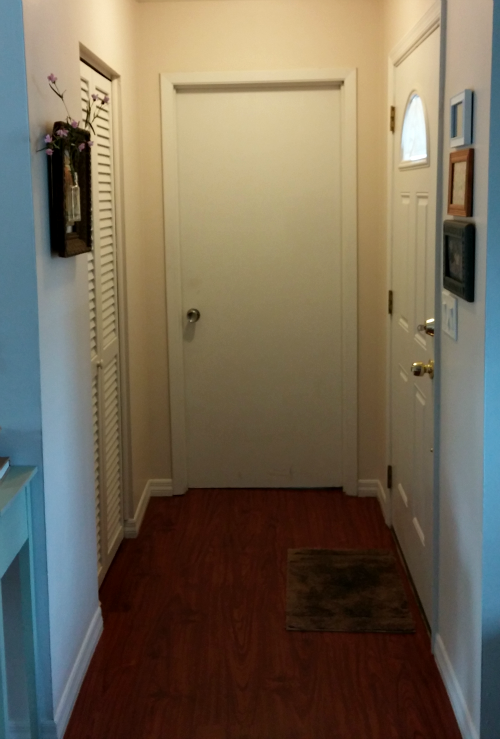 The entryway is so much brighter and feels bigger than it actually is. 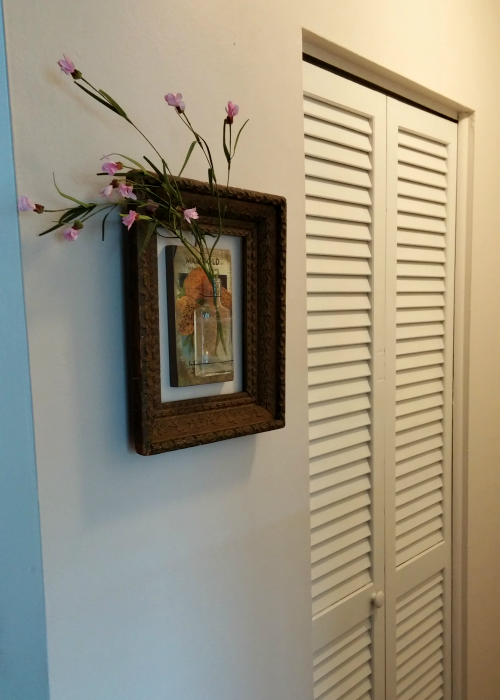 I kept the wall decor pretty simple and inexpensive by using items that I already had. 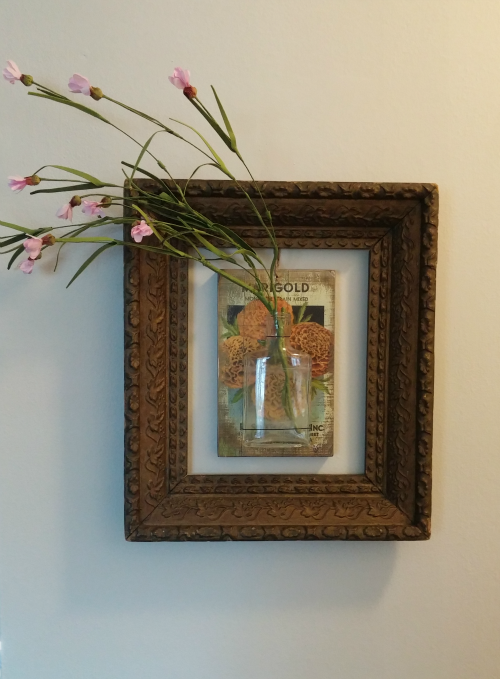 This open frame with the vase and flowers in the middle is inspired from JoAnna Gaines from the show Fixer Upper. 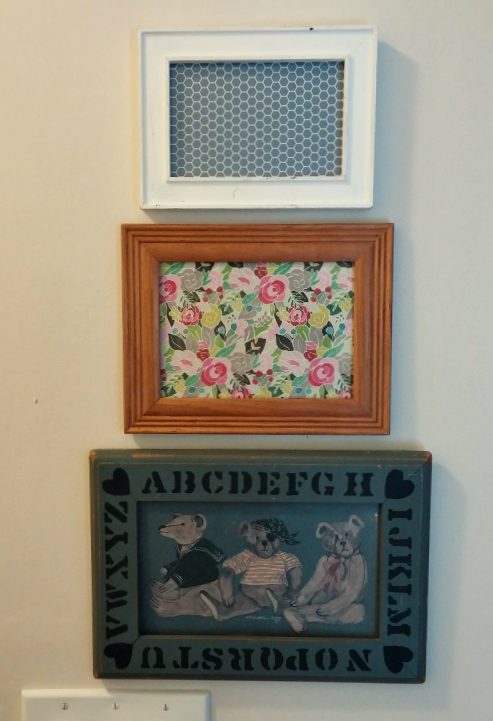 I love how she uses older items and often puts 3D objects in open frames! The only thing that I bought was scrapbook paper to put in the top 2 frames. Michael’s often runs a special on their 12″x12″ scrapbook paper sheets at 6/$1. So I bought 2 different prints, cut them out, and put them in a couple of frames to add some color. Color in small doses is much better than blue all over! You can also see my video of the new entryway. Do you like to update a space by using what you already have? 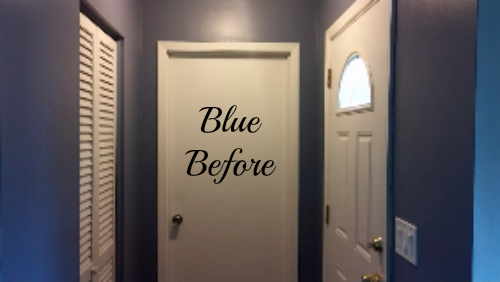 The brighter color definitely made a difference, I feel that an entry way should always be bright and cheerful. Ialso like the updated frames by the door. 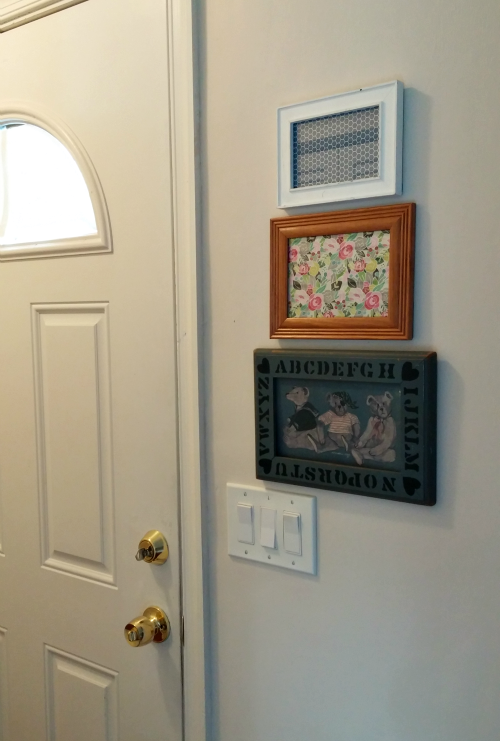 You could even use a frame to hold keys.